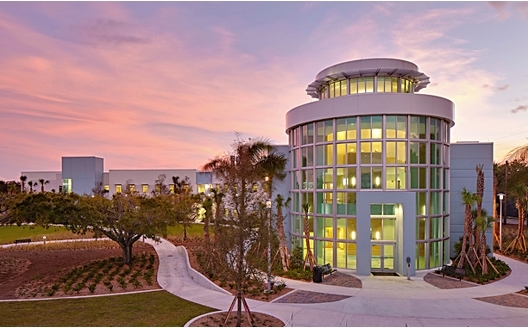 The mission of Harbor Branch Oceanographic Institute Foundation, Inc. (HBOIF) is to support the Harbor Branch Oceanographic Institute, a research institute within Florida Atlantic University. HBOIF provides funding and support for research and education in marine sciences and ocean engineering. Our goal is to support FAU's Harbor Branch as it increases understanding of oceans and coastal areas through exploration and scientific investigation. Did you know that half of the seafood we eat comes from aquaculture, also known as fish farming? 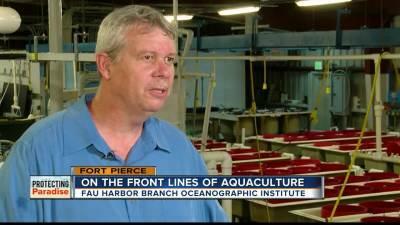 Fish, clams, shrimp and plants are items grown for food and for restocking overfished areas. The Aquaculture license plate, designed by marine wildlife artist and conservationist Guy Harvey, supports the research that Harbor Branch scientists do to advance the industry, like testing land-based culture methods that reuse water and limit waste while growing healthy and safe seafood. Several whale species can be found in Florida waters, including the most endangered of all great whales: the North Atlantic right whale. Designed by marine life artist Wyland, the Protect Florida Whales plate supports protection of these endangered species through public education and conservation. Plate proceeds also fund Harbor Branch’s 24/7 emergency response for whales that become stranded. The Protect Wild Dolphins plate, designed by marine artist Steve Diossy, enables 24/7 emergency response for dolphins that become stranded or entangled in fishing gear or other items foreign to the oceans or estuary ecosystems. 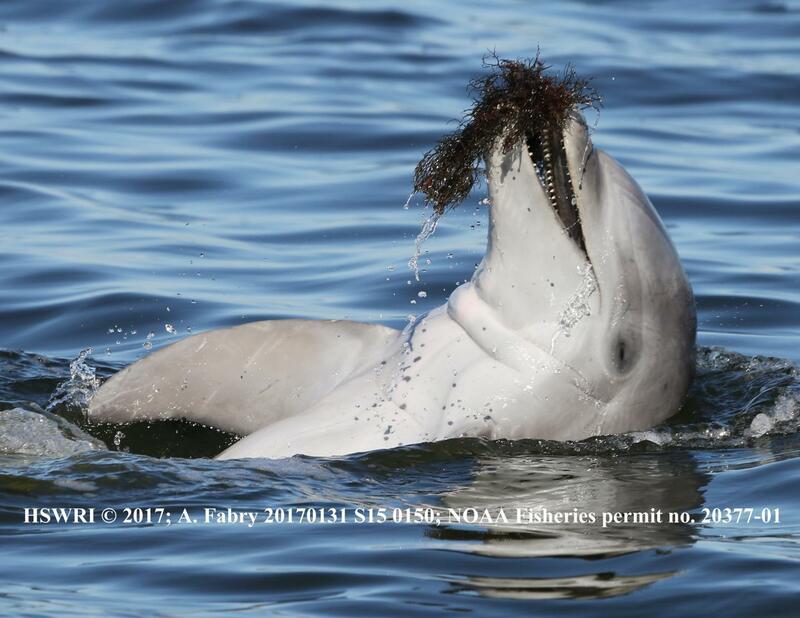 Harbor Branch’s marine mammal teams also conduct a variety of studies to help understand dolphin health, life history, and the environment where they live. The Guy Harvey-designed Save Our Seas license plate funds Harbor Branch’s research on Florida’s waters and coral reefs. Harbor Branch scientists investigate the health of coastal waterways by utilizing a network of automated water quality measurement stations that allow researchers and the public to track conditions in popular boating and swimming spots. with consideration, with care, & affection. Researchers at Florida Atlantic University Harbor Branch is working to resolve the world's seafood sustainability problem. Newswise — With a big push to get a global audience – young and old – excited about science, a Ph.D. student at Florida Atlantic University’s Harbor Branch Oceanographic Institute is thinking outside-the-box. Hunter Hines has turned to the social media platform of Instagram to engage audiences in scientific exchange across the world and has come up with the right formula for success. He is encouraging other scientists to follow suit. Harbor Branch Research Associate Malcolm McFarland spoke with WPTV on why DuBois Park in Jupiter may be prone to bacteria. “Any communicable disease can be in there, we don't know exactly what," said McFarland. "People could come back with an ear infection, or they could come back with a stomach bug or something like that. Also things like gastroenteritis, typhoid, Hepatitis A, and various other viral or bacterial pathogens."